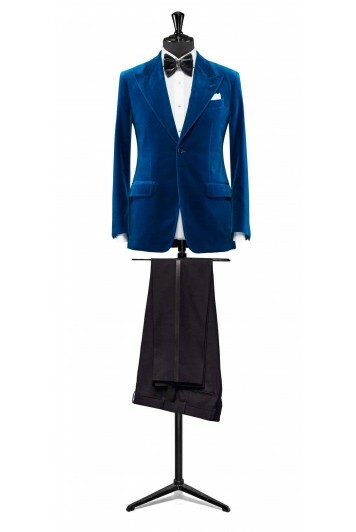 A statement dinner suit in teal velvet with a classic 1 button style jacket. Teamed with a white dress shirt, black bow tie and contrasting trousers. Please contact us to arrange a made-to-measure appointment to discuss your individual requirements.